Sensational 5500+sqft home in Woodley. 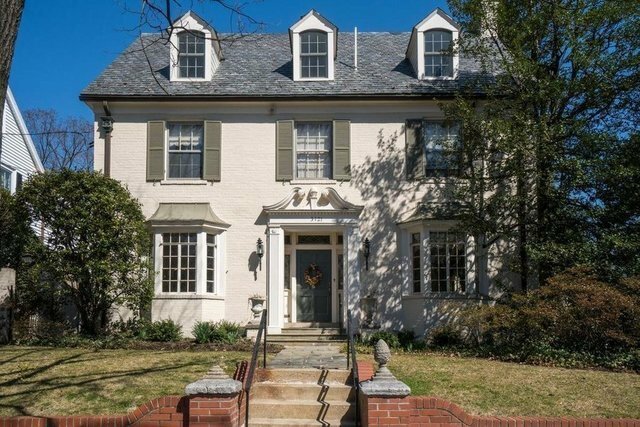 This home boasts historic charm, elegant features, and is nestled in one of DC's most sought after neighborhoods. Recent updates include new kitchen appliances, refinished hardwood floors, and paint. The home is much larger than it appears. It hosts a formal dining room, living room, family room, main level bonus rec room, dual staircases, 4 bedrooms on the upper level, 2 additional bedrooms on the 4th level, a partially finished basement with rear access, and 2 private outdoor entertaining areas. Walking distance to Woodley metro and feeds into Oyster-Adams Bilingual School.